The Miami metro area earned the top spot on Freddie Mac’s list, having been ranked the No. 1 most unaffordable U.S. city by two of the four studies, and appearing in the top 10 in the other two studies. Florida cities figured prominently Freddie Mac’s list of unaffordable cities, with Orlando and Tampa in the top 10 and while Jacksonville ranked at No. 25. The report’s authors attribute this to the fact that in many Florida metros, typical incomes don’t align with real estate prices, at least for most renters. “Rents in Florida are near the average for the top 50 metro areas. However because renter household income in these markets is significantly lower than the national average, many households are considered rent burdened,” the report explained. Mortgage rates continue to dip lower, a development that some economists say will spur growth in the housing market over the coming months. It’s also been good news for mortgage lenders, who haven’t had much reason to celebrate lately. The Mortgage Bankers Association reported April 3 that home loan application volume grew 28 percent year-over-year in the prior week. Crucially, purchase loans accounted for only 10 percent of that gain, while 58 percent was attributed to refinancing. The latter is often considered more desirable for lenders, as it offers them greater profit margins. The MBA report tempered some of that optimism, though, pointing out that this high refinancing volume was still 40 percent below peak refinancing activity in the summer of 2016. Plenty of time is spent researching the latest trends and homebuyers’ deepest desires. A recent report from the National Association of Home Builders takes a different approach: finding what amenities buyers explicitly don’t want in a new home. Some of the top-ranked least-desirable home features may seem obvious, if only because of their absurdity. For instance, few would be shocked to learn that almost half of buyers surveyed said they did not want a master bath with two toilets or a two-story family room, whatever that is. Elevators were ranked the least-wanted of all, with 66 percent of respondents saying they didn’t want one, although this makes sense in context (77 percent said they were looking for single-family homes). Specific materials like cork flooring and laminate kitchen counters were also high on the NAHB list. It’s not just American economists who might be getting tired of writing the same basic analysis of the U.S. property market: The housing market would be stronger if more homes at low- and mid-tier price points were available, particularly in dense metros. As it turns out, the affordable housing shortage is a familiar issue around the world, with politicians and developers at odds over how to best address it. A January report from U.K. brokerage Knight Frank found that over the last five years, home prices in 32 major metros around the world have grown 24 percent. Over the same period, though, average income has grown by just 8 percent. The causes are manifold: On one hand, demand for housing in the world’s most economically strong cities has naturally pushed priced up. Meanwhile, some argue that international investment activity has never been higher in the real estate market, driven in part by a rapid advance in technology that makes it easier to transact on a large scale. In a follow-up to the Knight Frank study, The Wall Street Journal reported that officials in Canada and Australia have responded by implementing new taxes on foreign property investors. 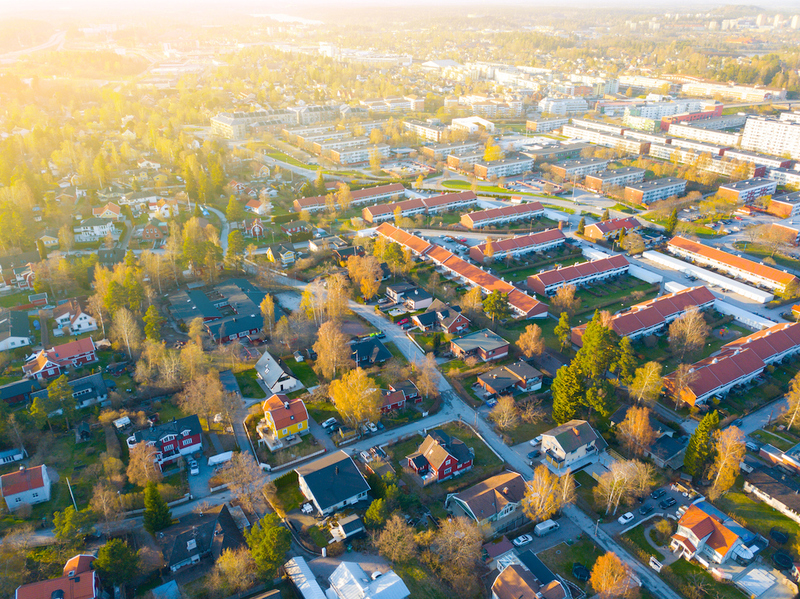 As in parts of the U.S., stringent rent control laws are also becoming more popular with voters in Sweden Germany and the U.K.
“Global cities are suffering from affordability issues, partially as a result of their own success,” said Liam Bailey, global head of research at Knight Frank. Optimism abounds from the buyer perspective as the spring market kicks into gear, but for the overall housing market, it could mark the first real signs of a mild sales slowdown, according to a new report from Trulia. Staff economists Issi Romem and Cheryl Young noted in a March 26 forecast that “buyers are likely to benefit from incrementally more bargaining power than they have been used to,” likely giving sales volume a boost over the next few months. However, the fact remains that home prices will likely continue to rise through the summer, although more modestly than in recent years. In addition, a near decade-long slump in new construction activity means buyers don’t have all that much inventory to choose from. The end result, according to Trulia, could be a relatively mild downturn by the end of 2019 as more buyers and sellers become frustrated with their prospects. However, they emphasize that any cooling in the U.S. housing market will be temporary and is inherent to the industry’s cyclical nature. Few economists expect any coming downturn, if it arrives, to resemble anything close to the 2008 housing crisis.